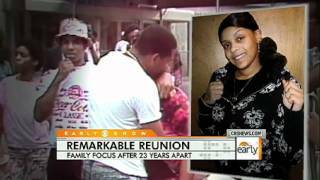 Twenty-three years after being kidnapped as a newborn, woman finds her real parents in New York City. Abducted from Harlem Hospital in 1987, Carlina White is now focused on the family she has been away from for the past 23 years. Jeff Glor reports.